Hoping to treat your employees to a nice, casual gathering in the Glendale Heights, Illinois area? If so, you might consider having your gathering at Stardust Bowl. We host business parties all the time, and would love to host your party as well. Are you interested? Curious as to what our facility has to offer? Read on to find out! One of the most popular parts of our facility is our lounge. A common congregation area, it offers all of the food and beverages you could ever hope for. We offer drinks of all kinds, including those of both the alcoholic and non-alcoholic variety. Whether your party is into soda, beer, or liquor, we can accommodate you. 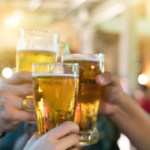 Regardless of the day you’re having your party, we’ll have plenty of drink specials for your group to take advantage of. Our selection of food is served by our in-house restaurant, The Big Labowlski Grill. We serve everything from burgers, to fries, to chicken, and much more. Call us up to inquire about our specific food dishes! Here are Stardust Bowl, we’re so much more than just a bowling alley. While bowling is obviously our primary activity, it’s only one of many activities that we provide to our guests. Looking to learn more about the activities we offer? Read on below! We boast a total of 84 bowling lanes, all of which are equipped with technologically sophisticated scoring systems. 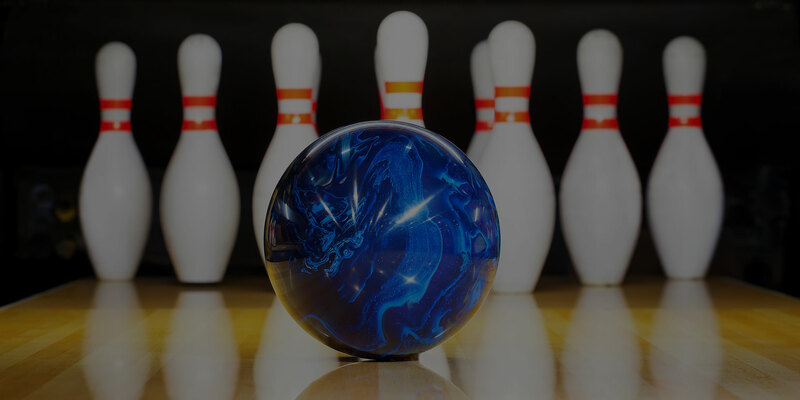 Whether you’re looking to play a traditional game, or raise the bumpers up for some assistance, we have you covered. If you’re not into bowling, you might want to hang out in our video gaming lounge. Featuring arcade games of all kinds, it can provide hours of care-free fun. Our facility also has an area with pool tables, allowing you and your employees to engage in both competitive and recreational billiards games. At the base of everything we do is entertainment. Our establishment operates to keep guests entertained. One of the primary ways we do this is by creating an entertaining atmosphere. When you step into our facility, you will be met with an inviting barrage of high-quality music, relevant television, and sophisticated lighting. Sporting a state-of-the-art speaker system, we play music all throughout the day and night. Playing everything from oldies to modern top 40 hits, we aim to please all of our customers equally. Whether you want to sing, dance, or just tap your foot to the beat, you’ll be in luck. Our facility is lined with HDTVs, making it easy for our customers to catch sporting events, movies, and television shows. You can take a seat in one of our 4 lounges to enjoy some visual entertainment! With our technologically sophisticated lighting system, we do all we can to create a festive atmosphere for our customers. It’s our hope that this lighting system allows all of our customers to feel comfortable throughout the entirety of their experience in our facility. Make Your Party Official Right Now! Whether you simply want to stop by after work, or make your party official, we here at Stardust Bowl can accommodate you. Our Glendale Heights area facility has a full banquet room that is often rented out by businesses. Interested in scheduling your party formally? Give us a call at (630) 833-1040! Just want to drop by on short notice? We’re always ready to accommodate you. Our facility is located at 37 E. Lorraine Avenue, Addison, Illinois.